Cabernet carefully picked and selected from our Blewitt Springs vineyard to showcase the terroir of our unique vineyard. Minimal intervention has allowed this wine to truly express its sense of place. Exhibits layers of Satsuma plum, mint and dark chocolate. This wine is ready to drink now or will benefit from careful cellaring for up to 10 years. Shiraz carefully picked and selected from our Blewitt Springs vineyard to showcase the terroir of our unique vineyard. Minimal intervention has allowed this wine to truly express its sense of place. Full bodied with layers of forest fruits and lashings of dark chocolate. This wine is ready to drink now or will benefit from careful cellaring for up to 10 years. John and Carol’s vision restoring a 70 year old Blewitt Springs vineyard to its former glory began in 1984. Since then the Estate has grown to include a state-of-the-art winery, allowing full control from harvest to bottling. A hands-on approach and minimal intervention allows the varietal flavours achieved in the vineyard to carry through to the bottle. The Estate Range proudly bears the family name. The dry Cabernet Sauvignon Rosé was made according to the traditional style, macerating the skins and juice together to achieve the desired colour and flavour. Strawberries and cream, Turkish delight and perfumed rose petals are supported by a palate with mineral overtones and a long, lacy finish. John and Carol’s vision restoring a 70 year old Blewitt Springs vineyard to its former glory began in 1984. Since then the Estate has grown to include a state-of-the-art winery, allowing full control from harvest to bottling. A hands-on approach and minimal intervention allows the varietal flavours achieved in the vineyard to carry through to the bottle. The Estate Range proudly bears the family name. Grown on our Estate Vineyard this Sauvignon Blanc is crisp and displays a delightful mix of exotic gooseberry and passion fruit. Well balanced acidity with excellent length. John and Carol’s vision of restoring a 70 year old Blewitt Springs vineyard to its former glory began in 1984. Since then the Estate has grown to include a state-of-the-art winery, allowing full control from harvest to bottling. A hands-on approach and minimal intervention allows the varietal flavours achieved in the vineyard to carry through to the bottle. The Estate Range proudly bears the family name. Grown on our Estate Vineyard this Viognier (pronounced Vee-on-yay) is best grown in cool sites. Flavours of peach, citrus and a hint of jasmine. Perfect with a variety of seafood dishes or Asian cuisine. The wine is crisp, medium bodied and finishes with crunchy acidity. John and Carol’s vision restoring a 70 year old Blewitt Springs vineyard to its former glory began in 1984. Since then the Estate has grown to include a state-of-the-art winery, allowing full control from harvest to bottling. A hands-on approach and minimal intervention allows the varietal flavours achieved in the vineyard to carry through to the bottle. The Estate Range proudly bears the family name. The Pinot Gris exhibits nuances of lime, apple blossom and lychees combined with rich textural palate and finishing with a crisp day finish. John and Carol’s vision of restoring a 70 year old Blewitt Springs vineyard to its former glory began in 1984. Since then the Estate has grown to include a state-of-the-art winery, allowing full control from harvest to bottling. A hands-on approach and minimal intervention allows the varietal flavours achieved in the vineyard to carry through to the bottle. The Estate Range proudly bears the family name. Within this region are deep sandy soils on rolling hills with prevailing sea and gully breezes. These conditions are ideal for ripening our hardonnay grapes to produce wines with fine acidity and distinctive fruit flavours. 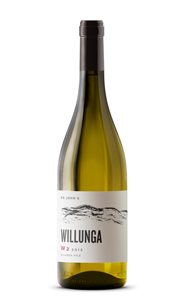 The colour is fresh and straw green featuring bright aromas of kiwi fruit, pineapple and honeydew melon. The palate dislays an array of sweet citrus fruits with just a hint of peach. the wine has crisp acidity with mineral overtones that support a lingering creamy finish. John and Carol’s vision of restoring a 70 year old Blewitt Springs vineyard to its former glory began in 1984. Since then the Estate has grown to include a state-of-the-art winery, allowing full control from harvest to bottling. A hands-on approach and minimal intervention allows the varietal flavours achieved in the vineyard to carry through to the bottle. The Estate Range proudly bears the family name. Grown on our Estate Vineyard this Malbec shows intense aromas of violets, spice and perfume. The palate delivers lashings of dark cherries and chocolate with superb balance resulting in a long dry finish. John and Carol’s vision of restoring a 70 year old Blewitt Springs vineyard to its former glory began in 1984. Since then the Estate has grown to include a state-of-the-art winery, allowing full control from harvest to bottling. A hands-on approach and minimal intervention allows the varietal flavours achieved in the vineyard to carry through to the bottle. The Estate Range proudly bears the family name.WINEMAKER’S NOTEThe wine shows all the hallmarks of great McLaren Vale Shiraz. Full bodied with layers of forest fruit and lashings of dark chocolate. This wine is ready to drink now or will benefit from careful cellaring for 5 to 7 years. Grown on our Estate Vineyard this cabernet exhibits layers of Satsuma plum, mint and dark chocolate. This wine is a fine example of McLaren Vale’s pedigree with Cabernet Sauvignon for over 100 years. Ready to drink now or will benefit from careful cellaring for 5 to 7 years. Shiraz grapes for this wine were sourced from our Willunga vineyard, whereas the Cabernet Sauvignon is from our elevated Blewitt Springs vineyard. Dense ruby with purple hues, the bouquet is dominated by ripe blackberry and strawberry aromas followed by ripe plum, dark chocolate and fruit cake. The palate is fruit driven and well structured with warm, sweet berry fruit. 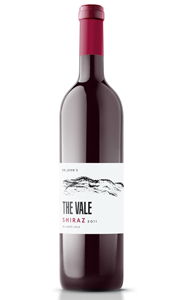 The shiraz deliver rich flavours of redcurrant and strawberries and the Cabernet delivers black currant, cassis and plum.These flavours carry through with fine grained tannins and a luscious finish. This Shiraz vineyard is planted on a North to South facing slope located in Blewitt Springs, McLaren Vale. This elevated vineyard experiences hill and gully breezes as well as ocean westerly, from the Gulf of St Vincent. The soils are weathered and leached, consisting of a shallow layer of grey sand overlaying red loam that grades into clay. These own rooted vines average over 30 years old and produce concentrated fruit flavours and aromas at low yields. Deep crimson and violet hues are punctuated by hints of anise, nut- meg and cedar on the nose. The palate shows layers of plum and raspberry supported by soft velvety tannins. The finish is elegant and textured with a hint of dark chocolate. This Shiraz wine has been matured for 18 months in French oak Barrels and will mature gracefully over time. This is the first vintage of Pinot Gris sourced from a single vineyard block in the Blewitt Springs district of McLaren Vale. These vines are planted in a steep, westerly facing slope consisting of fine grained sands over clay based soils. The proximity to hills and ocean breezes are beneficial in moderating summer temperatures to achieve even, gradual ripeness of grapes on the vines. Pieter Breugem decided the wine would be best suited to making a ‘Gris’ rather the ‘Grigio’ style due to the existence of good phenolic components and a suitable integration of extended lees contact. 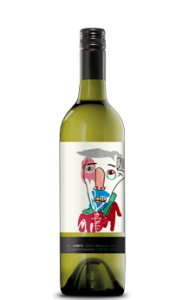 Flavours of Lime, Apple Blossom, Pears and Lychees this wine is suited to Asian style dishes, poultry with citrus flavours or subtle seafood such as Crayfish. 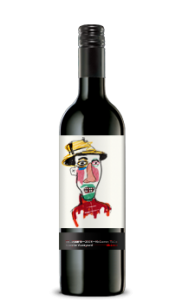 This single vineyard Shiraz was sourced from Blocks 4 & 5 on the North Western slopes of Blewitt Springs, close to the Onkaparinga Gorge in McLaren Vale. The vines used for this individual release average 60 years in age, producing small quantities of rich, healthy grapes. 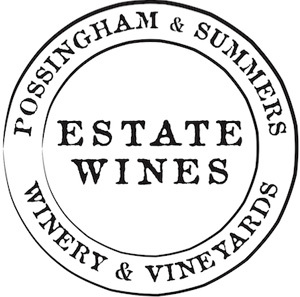 The 2006 vintage produced excellent Shiraz in McLaren Vale and a small portion was held back after two years of maturation in new and second year old French and American Oak Barrels. Flavours of Raspberries, Liquorice, Fruit Cake, Plums and Vanilla Bean the palate is full but luscious with firm, round tannins.